Our locksmith services are all-around for all your security problems. Let A Lenny Locksmith assist you at times when you feel vulnerable concerning your properties or vehicles. Your security is important to us. Our local locksmith Boynton Beach has a passion for helping people and providing highly specialized skill sets to make sure you feel secure even when you’re fast asleep. Our car locksmith can also work on motorcycles, trucks, boats, and even simple jobs such as a bicycle lock that needs picking. The most common call we receive is for lockouts. And in all our years of servicing lockout incidents, we have managed a long list of happy customers who makes it a point to only contact us in any lock trouble they have. After all, a trustworthy and certified local locksmith Boynton Beach removes any additional worry of letting a stranger work the locks in your properties. During a home or office lockouts, the locksmith on-site will attempt to pick the lock using traditional method. Airbags and bump techniques are also employed. If the key or lock is damaged, the locksmith proceeds to perform a fix on the lock or recreate the key. We also have the know-how when it comes to removing a stuck key without extending further damage to the lock. 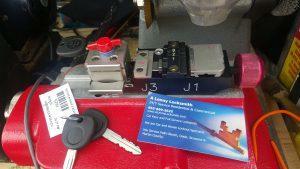 Our car locksmith Boynton Beach is trained to work with any type of vehicles or brands. Our training and software are always updated to industry’s standards. The car locksmith has only the ultimate aim to get you back on the road the soonest time possible. Any car locksmith service required is possible when we travel with our mobile shop equipped with the latest locksmithing gadgets and tools. Contact us today for any inquiries or consultation without any cost to you. Our lines are open any time, 7 days a week even on holidays.